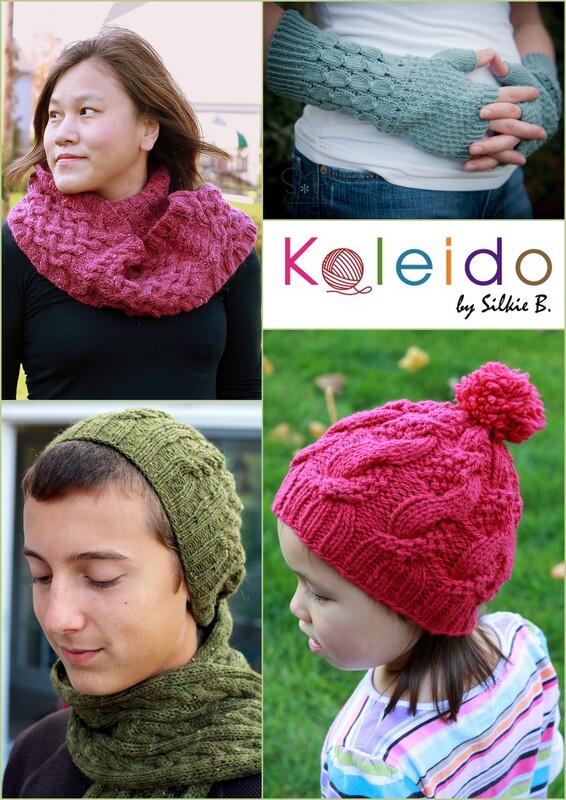 sock yarn | Kaleido by Silkie B. Just like the title said, an easy breezy cardigan that is perfect for the warm climate. This is my cardigan design that is currently published in the July 2011 issue of Creative Knitting. This lightweight cardigan is worked in fine sock yarn with size 4 needles…. it is also mostly seamless.. I said mostly because there are 2 seams to join the shoulder together. The entire cardigan is work in one piece from bottom up till the arm shaping; then the back piece and 2 front pieces are worked separately. The 3rd quarter sleeves are worked from top down and sleeves caps are shaped using short-row after the shoulder seams are joined. 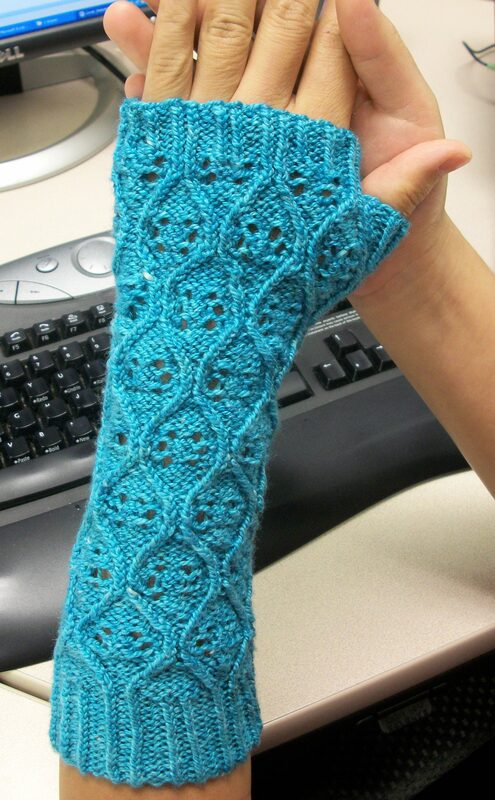 The lace border is worked in such a way that is joined to the front side while knitting it. Hence, there is no sewing the border to the cardigan afterward. 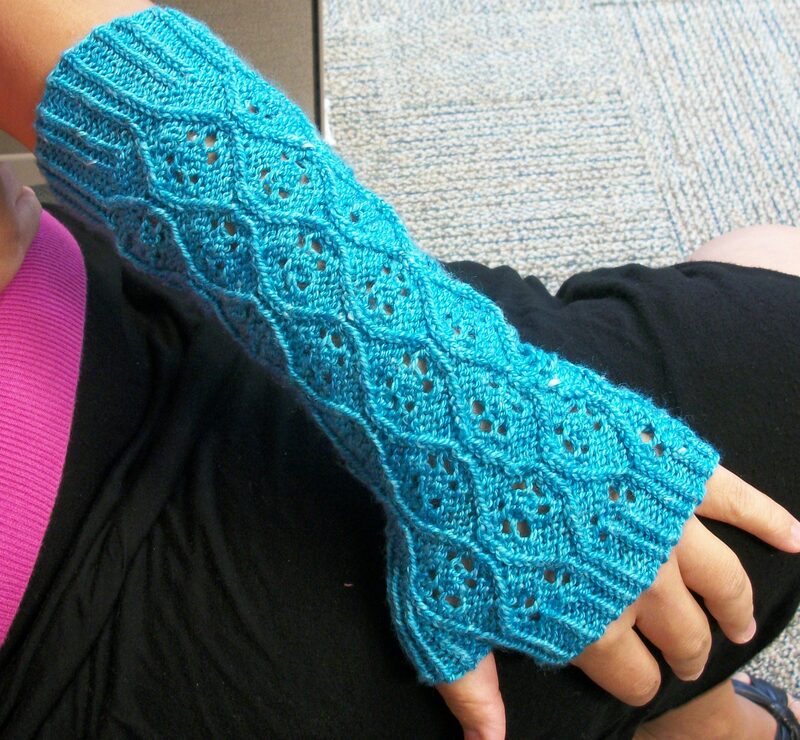 Of course, it’s up to personal preference to how to work the lace border. I love minimal design; clean, classic and very practical; so this cardigan in a way is very me. As always, if you have question of the design, feel free to leave me a message. I am very excited that my accessory collection for the Fall is shaping up. 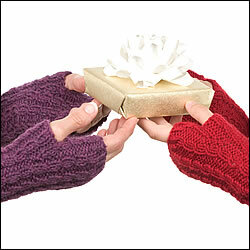 I first introduced ‘Victoria’ yesterday and today, let me introduce ‘Bonnie’; a fingerless mitten design. The inspiration of ‘Bonnie’ came from my dear sister ‘Bonnie’. Bonnie is my rock. I know that I can tell her anything and she is always there for me. Bonnie is always there to listen and provide her honest opinion and support. It have been a very tough year for me and without Bonnie’s support, I might not be able to pull through. I chose a rather simple lace motif with twisted curvy border; the curvy border between each lace repeat looks like the gentle wave in the water… I love the water, living in West Michigan, I am lucky to be so close to Lake Michigan.. the curvy border reminding me the wave by the lake.. it’s so beautiful and calm and relax… and my sister Bonnie, is like the gentle wave in the lake, she can always calm me down and give me an ease feeling when I am stressing out… although Bonnie is rather tense and stress out sometime.. and very intense in some occassion or many occassion.. but she will always be my calming wave. In addition, her chinese name means ‘smooth, wave, round’ so the lace motif certaily represents her well. So to my dear sister, Bonnie, this post is dedicated to you by your always busy and stress out sister… and with your support.. I know I will always be OK. Thanks for being so supportive and being such a great sister.